Mark Winterbottom says he's "racing to get results" with the revamped Team 18 in 2019, after his exit from Tickford Racing. Winterbottom split with the Ford squad he's raced with since 2006 at the end of last year, the change of team accompanied by a move to Holdens. 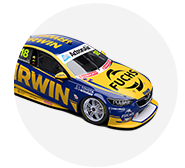 The 2015 champion will race a Triple Eight-built ZB Commodore backed by IRWIN Tools, with team owner Charlie Schwerkolt also sealing a technical alliance and signing engineer Phil Keed. 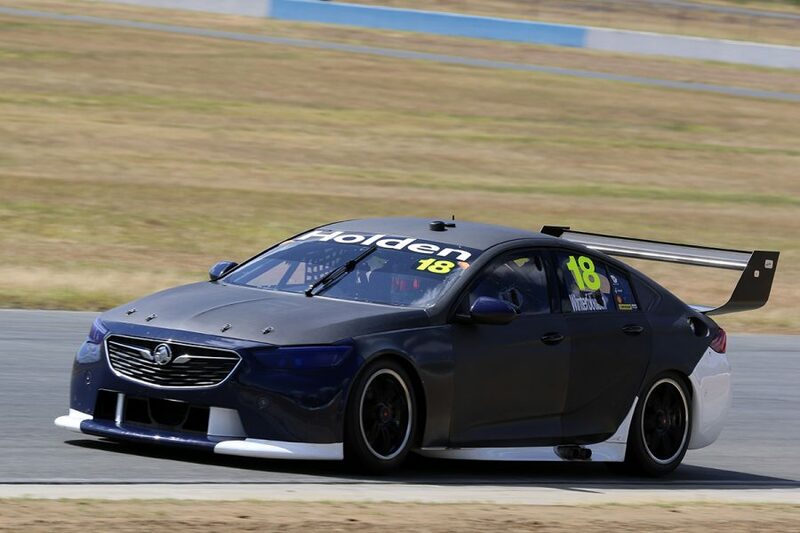 He got his first taste of the package on Tuesday with a handover test at Queensland Raceway, the 10-lap outing described as "a bit of a tease". Winterbottom's last Supercars win came at Pukekohe in November 2016, while Schwerkolt's standalone, single-car outfit does not have a podium to its name. "I'm not racing to retire. 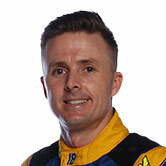 I'm racing to get results," Winterbottom said. "You don't need 80 people to win. You don't need flash facilities. "You need a car that's fast, with a good group of guys that'll work their backside off for you. "The team I've got around me is fantastic, so I feel confident and it's a tight group – 12 to 14 people with one goal, they're there for you and you're there for them. "If you win, the team wins. If you lose, the team loses. It's a nice feeling. "Big teams aren't always the be-all and end-all and I've been lucky enough to race with a factory team for a while. "We'll see if it's good and if we can make it work, it'll be rewarding if we can." Winterbottom arrived at what was then Ford Performance Racing in 2006, aged 24 and with two seasons in Supercars under his belt. The 37-year-old is now among the elder statesmen, especially following the full-time retirements of Craig Lowndes and Garth Tander. "People look at the brand, but for me it's the opportunity, and what Charlie has done and given me I feel is fantastic," Winterbottom said. "You race to win, that's why you go racing and 13 years at Tickford was fantastic but there's a point where people work 10 years and it's seen as 'wow, you've been in that business for 10 years'. "Thirteen years I'm pretty proud of, but January for me is normally holidays. "This January's been ringing Phil Keed, ringing the team manager, ringing Charlie, ringing Stu (Stuart McDonald) the engineer, talking to the mechanics, working out when we're coming up [to Queensland]. "All that sort of stuff, January has been busy. I never really felt like racing in January, but now I wish [the handover test] was a race meeting. "Clearly you're excited and pumped and ready to run. It's exciting, hard work has been put into it and the best way to show it's on-track with the results."